Running a successful Direct Your Dollars™ campaign is easier than you think. Use any (or all!) of the items below to promote your involvement in the SpartanNash shop with a purpose program. The more people that know you’re participating, the more receipts you’ll get. The more receipts you get, the more often you can earn a $1,000 check! Thank you for participating in the Direct Your Dollars program! Feel free to use the logos provided above to create Direct Your Dollars posters for your organization — but if you’re not feeling creative, we’ve also created a sample poster your nonprofit can use! Use the space provided to write in your organization’s name and fundraising goals, so people know what their receipts will help buy. Spread the word that your organization is collecting receipts by sharing the news on Facebook, Instagram, Twitter or any other social media platforms. We’ve even created a graphic you can use on Facebook and sample social media posts below. Make sure you update the information in italics so the posts are personalized for your nonprofit organization! 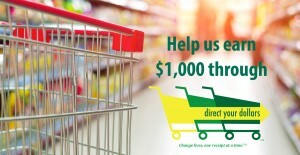 Help [nonprofit name] earn $1,000 through the Direct Your Dollars program! 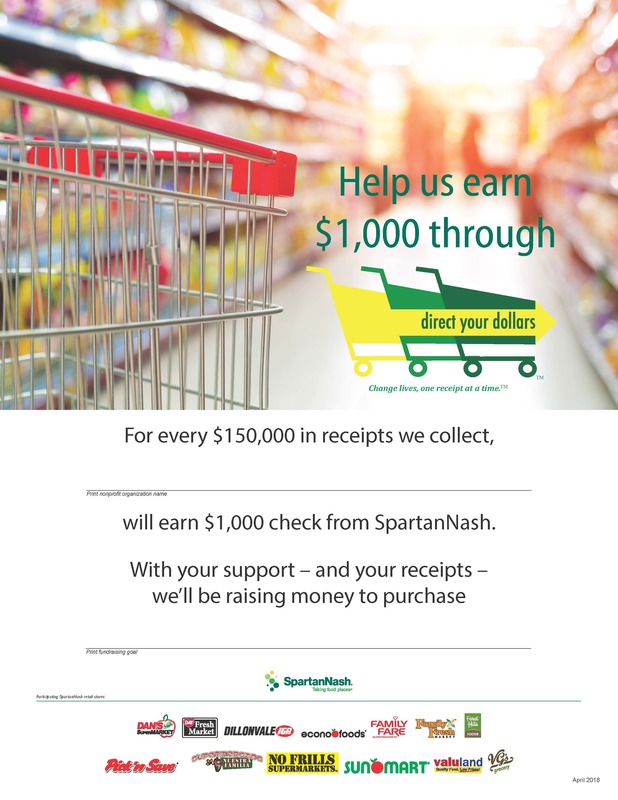 We’re collecting receipts from any [list and tag* of SpartanNash stores in your area] to [fundraising goal]. 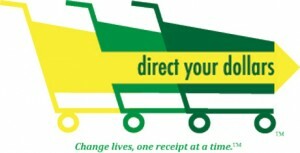 Drop your receipts off at [collection location]. 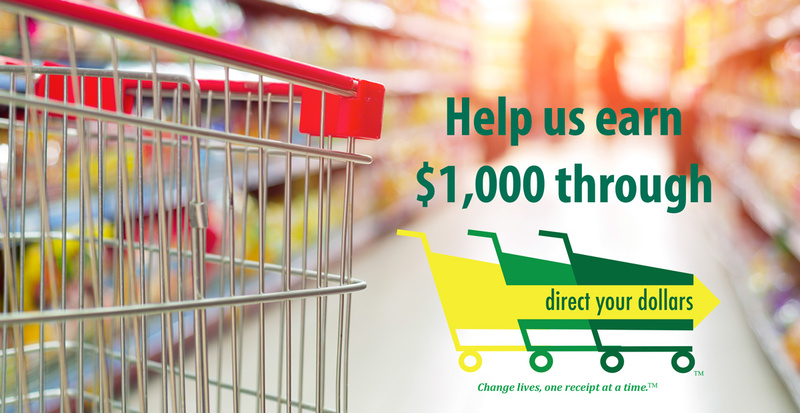 [Nonprofit organization name] has the opportunity to earn $1,000 from SpartanNash, simply by shopping at any local [Family Fare Supermarket or D&W Fresh Market]. Through the Direct Your Dollars program, we can turn eligible receipts into cash for our organization! For every $150,000 in receipts we collect, we will earn $1,000 donation from SpartanNash. With your support – and your receipts – we’ll be raising money to purchase [items needed]. *When you list the participating stores near you in a Facebook post, it’s a good idea to tag the stores’ page(s) as well. You can do this by typing @ and then the store’s handle. For example, the Kentwood, Mich. Family Fare is @kentwoodfamilyfare. Once you type the handle, click the link below to tag the store! Keep posting on social media throughout the length of your Direct Your Dollars campaign! Does your organization have a monthly newsletter? Do you often send out updates to an email list? If so, your nonprofit can use this sample newsletter article to help spread the word that you’re collecting receipts through Direct Your Dollars. REMEMBER: The sections in red need to be updated so the article is personal for your organization and its Direct Your Dollars fundraising goals! Similar to the newsletter article above, the sample “Take Home Letter” is a way to let your community partners know you’re collecting receipts for Direct Your Dollars. Put the letter in your Friday Folders, send it out to your community partners or hand it out at your next event. All original receipts banded together in 15 $10,000 increments and the completed receipt tally form that documents each $10,000 bundle. Your store director will verify your nonprofit’s receipt totals, sign the submission form and request your $1,000 check. Once the check is processed, the store director will call you to arrange a check presentation ceremony at the store.